Pasig City Councilor Vico Sotto, a member of the Sotto showbiz family that later branched out into politics, seeks to challenge the decades-long political success of the Eusebio family in Pasig. The independent city councilor who was first elected to public office in the 2016 elections filed his certificate of candidacy accompanied by his parents, actor and comedian Vic Sotto and actress Connie Reyes. In a tweet, Sotto said that he would run on a platform based on transparency and inclusive governance. He will run under Aksyon Demokratiko, the political party which is fielding a number of opposition candidates in the 2019 midterm elections, such as senatorial candidate Florin Hilbay. Sotto is expected to go up against incumbent re-electionist Roberto “Bobby” Eusebio. Roberto’s father Vicente was the first member of the family to sit as the city’s mayor. Some residents of Pasig City, the ninth most populated city in the country, have pointed to the two-decade reign of the Eusebio family, which has produced the city’s mayors since 1992. Among those who have endorsed Sotto is lawyer Ruben Carranza, who called him the most qualified member of his family to enter public office since the late Vicente Sotto, Gian’s great-grandfather, who was hailed during his time in Senate for passing a law that protected the rights of journalists. The 29-year old city legislator is just among the next generation members of the Sotto clan to choose public office over show business. 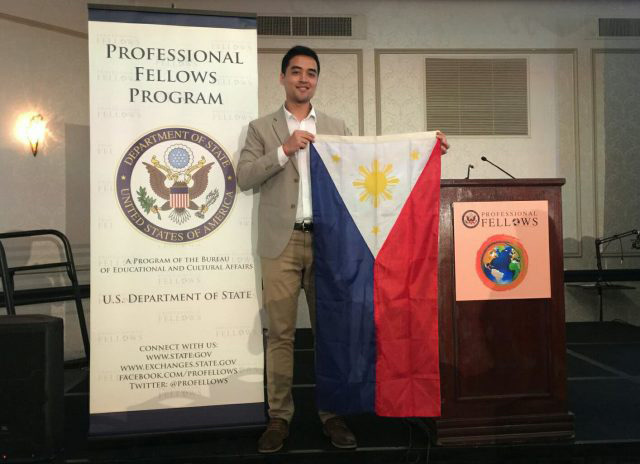 He is the nephew of comedian-turned Senate President Vicente “Tito” Sotto III, whose children Gian and Lala are councilors in District 3 and District 6 of Quezon City respectively. Actress Ciara Sotto, another of the Senate president’s children, was expected to run as a representative of environmental party-list Luntiang Party-list along with former presidential spokesperson Harry Roque, but her participation in the 2019 polls has yet to be confirmed following Roque’s decision to run for Senate instead.